As Southcentral Alaska struggles with record-breaking levels of property crime, criminals are getting creative. In a few cases, thieves in the Mat-Su have bypassed security systems by sawing directly into the siding of a house. Others are learning new burglary techniques online. 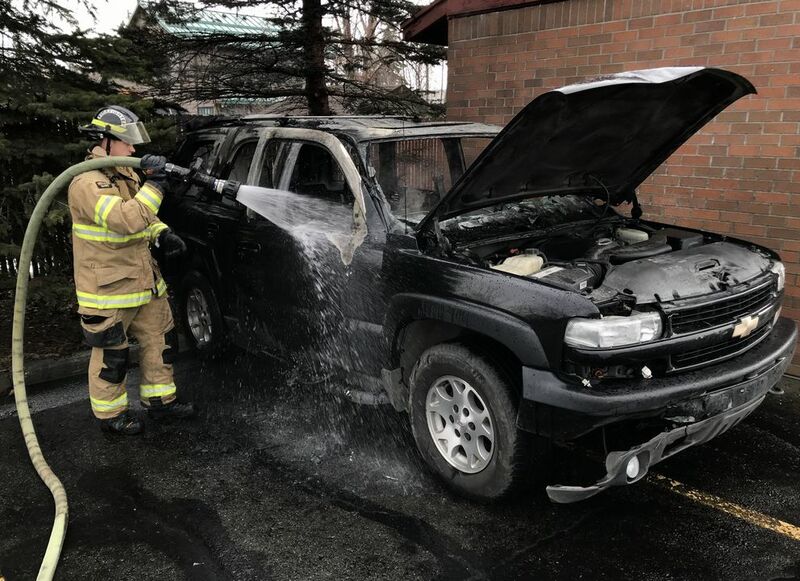 "As much as we hate to say it, the folks who are out there committing these crimes are educating themselves," said Daron Cooper, a member of the Alaska State Troopers Criminal Suppression Unit in the Matanuska-Susitna Borough. So, what steps can you take to be safer in your home and community? We talked to a trooper and Officer Robin Nave with the Anchorage Police Department's community action patrol for tips on protecting yourself and your property. Also, a state attorney explains Alaska's self defense laws. This story is part of a Daily News series examining crime in Southcentral Alaska. – Keep all high-value items on your property locked up. "We have a lot of stuff out in the open up here," Cooper said of sprawling Mat-Su neighborhoods. "Pretty much if it's outside of the house, it's getting stolen." 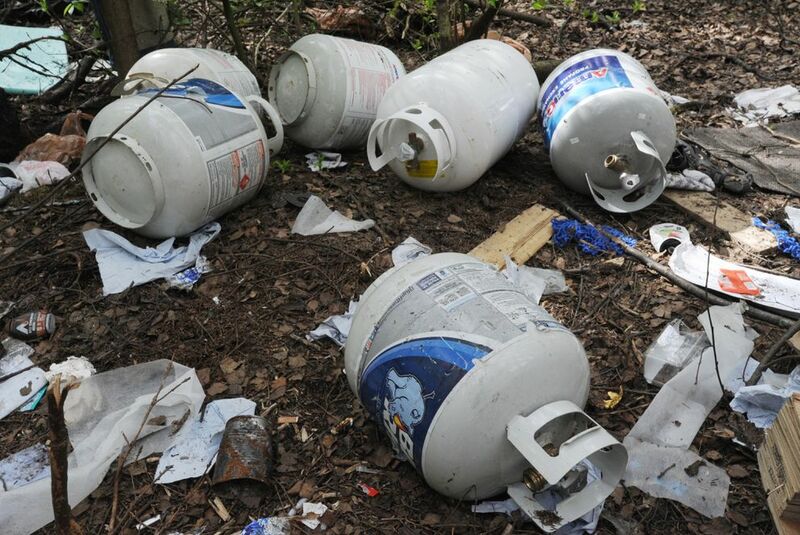 In Anchorage, grill propane tanks are one of the most-stolen items from yards, Nave said. The tanks are sometimes used as heaters in homeless camps. Bolt the canisters down or lock them up, she said. — Keep your property clean and free of overgrown trees. Especially if you live close to the Anchorage's trail system, cut back the big spruce boughs on the bottom of trees, as people will hide under the tree. "You won't even know that they're there," Nave said. — Game cameras are a cheaper alternative to installing a security system, Cooper said. Game cameras (also known as trail cameras) have motion sensors and night vision to catch would-be burglars on video. — Don't leave ladders on the side of your house. They could be used to access second-floor windows or decks. — Keep windows locked. Look for bricks or other items on your property that could be used to break through windows and doors. Secure sliding glass doors with a wooden dowel. — Light up your property. "Darkness is a concealment tool for criminals," Nave said. "They don't want to be seen." Get motion sensor lights, or have outdoor lights on a timer system. Store valuables like snow machines near the lighted areas. — Not home? Make it look like you are. When criminals case neighborhoods, they look for driveways that haven't been plowed, mailboxes filled with letters and snow that hasn't been brushed off a car in weeks, Cooper said. If you are out of town, ask someone you trust to get your mail, plow the snow and make your home appear as though it's occupied. — Get to know your neighbors. Exchange contact information. Often, burglaries happen in the middle of the day, while people are at work. Together, neighbors can help to keep an eye on their communities. "I'm a huge advocate of community watch programs or even using the Nextdoor app," Cooper said. Nextdoor is a private social network app for neighborhoods. — Write down serial numbers of your firearms and other valuables and keep the numbers in a safe place. If your property is stolen, you'll have a higher chance of recovery, Cooper said. — Document your belongings. Take pictures of valuables that don't have serial numbers. If jewelry is stolen and taken to a pawn shop, having a photo will help law enforcement and the community track it, Cooper said. — If you have an alarm system, use it. Nave said many people have alarms but don't set them. "It's something people forget," she said. — Have a safety plan. Make a plan of what to do in case of different emergencies, and share those plans with members of your household. But don't stop there — review your safety plans occasionally, Nave said. – Chevrolet vehicles in particular are targeted by criminals, Cooper said. That's because thieves have learned how to bypass Chevy door lock systems and start the ignition without a key. One solution? "This is kind of going back to early 90's," Cooper said, but "go get The Club," a cheap steering wheel lock. "It's a throwback, but I tell you what, that might deter someone," Cooper said. — Make your vehicle less attractive to criminals. Don't leave valuables – including firearms – in the car. People stealing vehicles are often trading the valuables found in the car for drugs or other things, Cooper said. — If you are arming yourself, practice using those weapons. "Listen, we're in Alaska. Everybody's got a gun … it's just the reality of the situation," Nave said. But that doesn't mean everyone is prepared to defend themselves. "If you don't practice, or you don't use something, in the heat of the moment, you're not going to be able to use it very well," Cooper said. So, practice using firearms, pepper spray, or other weapons. And, make sure you know Alaska's laws on self defense (see below). — Be aware of your surroundings. Predators look for people who are not paying attention to what's going on around them, Nave said. Put your phone away. Don't wear noise-canceling headphones when you're out running. Walk with your head up, and look around. 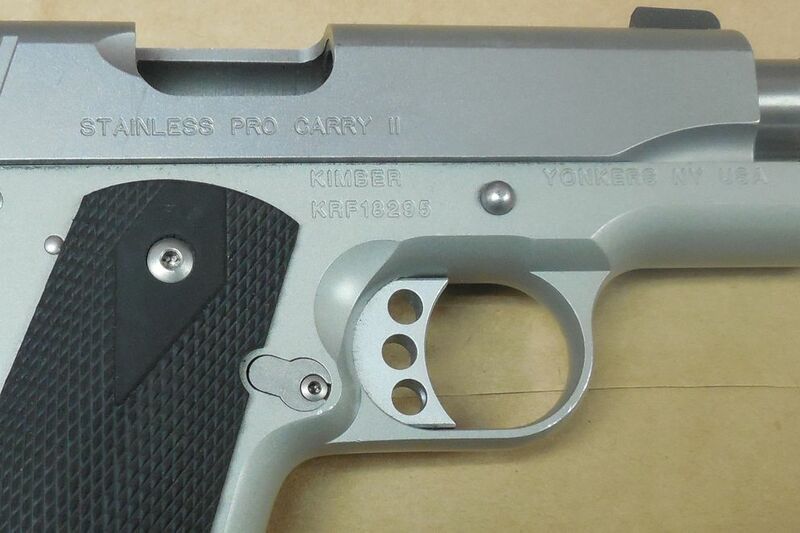 "Those are the small things that people look at when they're about to commit a crime of opportunity," Cooper said. — If you do feel someone walking up behind you, turn around and make eye contact, Nave said. This may deter a potential attacker, who knows they've been identified. — Safety in numbers still applies. Go out with a group. Tell someone where you're heading, and when you expect to be back, Cooper said. — If you're being attacked, bring attention to yourself by making lots of noise, Nave said. Reporting crime sounds obvious, but both Cooper and Nave said that lots of lower-level crimes aren't reported. But troopers look at crime trends to make decisions on how to best use their resources. "If you don't call us, then we don't always know," Cooper said. — In Anchorage, people can file online police reports for some crimes, like theft, fraud, harassment and suspicious behavior. — Use the RAIDS online crime map to your advantage. You can see what crimes are happening close to you by searching for specific dates or categories of offenses. That will give you a sense of what's most reported in your neighborhood and the times of day crime is happening, Nave said. – Call 911 when: There is a life-threatening situation, or when a crime is in the process of being committed. For example, if there's a medical emergency, a fire, a car crash with injuries, if someone breaks into your home, or if you hear shots fired. – Call the non-emergency 311 line when: An officer is needed but it's not an emergency. For example, vandalism, harassment, theft or burglary after-the-fact, or a car crash with minor or no injuries. NOTE: This section discusses Alaska law but in no way constitutes legal advice. Experts say each case depends heavily on the facts at hand. Consult an attorney for questions about a specific case. Alaska's laws on self defense can be found in Title 11 of Alaska Statutes, under General Provisions, Chapter 81. James Fayette, Senior Assistant District Attorney in Anchorage, spoke generally about what the laws say you can and can't do in order to defend yourself. First, the use of non-deadly force: A person may use non-deadly force – like spraying someone with pepper spray or using a taser – when the victim "reasonably believes" it is needed for self defense, Alaska's statutes say. But the person using non-deadly force can't claim self defense if they were the initial aggressor, or provoked someone with "intent to cause physical injury," or if the two people were in a mutually agreed-upon fight. If a situation does not meet the standard for legal use of non-deadly force, then it automatically fails the standard for use of deadly force. 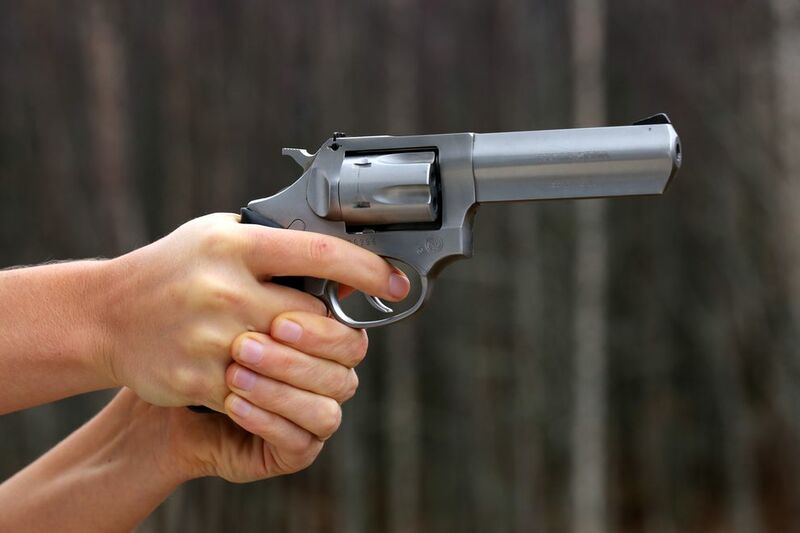 Under Alaska's law, you can use deadly force on someone – like using a firearm or knife — when you "reasonably believe" that it's necessary to defend against death, serious physical injury, kidnapping, robbery and sexual abuse in the first and second degree. You can also use deadly force to defend someone else if you "reasonably believe" they are in danger of one of these situations. Let's talk for a second about what "reasonably believe" means: Not only does the victim need to believe that they are in danger, but if another, reasonable person were placed in that same situation, they would need to believe they were in danger, as well. This comes into play because, in many instances, someone is under the influence of drugs or alcohol when they use force against others. So, part of the test is: "Would a sober person have reached the same conclusion?" Fayette said. If someone is breaking into your home when you are there, you are legally allowed to use deadly force to defend yourself. That's the same whether you own your home or rent it, or even if you are a guest staying in someone else's home. But you can't use deadly force solely to defend your property. That means you can't rig up a booby-trapped gun on a remote property to fire at someone trying to burglarize your unoccupied building, like a storage shed. Each case is different. Specific details of a situation – factors such as: Who started it? Were there alternatives to using force? — can shift criminal liabilities. "There's no quick, one answer to these things," Fayette said.